It seems like it’s been forever since I’ve done a blog posting for Secret Recipe Club. Well, it’s not actually been “forever”, (just a month) since, as a whole, we all took a SRC break over the holiday season. Here it is already, the end of January 2013 and we’re all back into the full swing of things! I couldn’t be happier to be cooking, baking, taking pictures and posting again in this brand new year when all things are possible! One of the many things I love about being involved in Secret Recipe Club (SRC) is that it sometimes makes me step out of my box a little and try things I maybe wouldn’t have ordinarily added to my list of recipes to try. This was one of those recipes. My assignment this month was to a blog called “Without Adornment” and it’s chief cook and bottle washer is a woman named “Bean”! I LOVE that!!! Bean is a young woman who has a passion for gluten free cooking, photography and her deep spiritually. She is awesomely talented both in and out of the kitchen so if you get a chance to go and visit her blog, you simply MUST check out all her wonderfully artistic photographs and her wide collection of gluten and dairy free recipes. They’re definitely worth a look and you’ll be pleasantly surprised (as I was) how delicious life can be when you’re gluten free. I chose Bean’s recipe for her Slow Cooker Coconut Chicken Curry and we truly enjoyed the complex flavors of this dish. I especially loved the ease of preparation for this one and, as a bonus prize, of the smell in the house all day long as it cooked away on the counter top. I did make only a few small’ish changes to Bean’s original recipe but I believe the flavors still remain intact to her original recipe. I decided to make a cauliflower mash for the coconut chicken curry to rest atop instead of adding the cauliflower into the slower cooker along with all the other ingredients. I was very happy with how this turned out and was thrilled to have saved on the additional calories by not adding rice or pasta as the base. 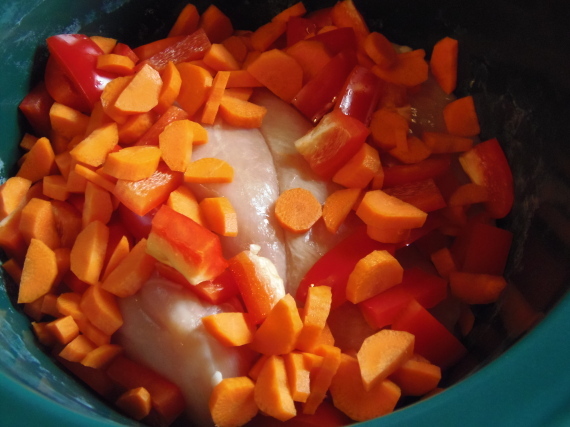 -In a large slow cooker, add the chicken breasts, red pepper, onion, carrots and garlic. 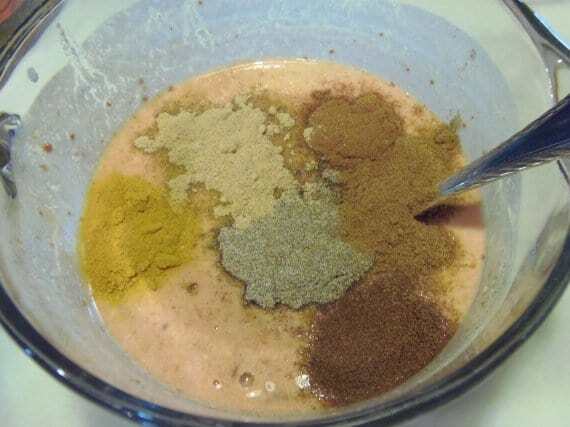 -In a medium bowl, whisk together the coconut milk, tomato paste, turmeric, cumin, cardamom, ginger, chili powder, garlic powder, salt and pepper, cinnamon and ground cloves. 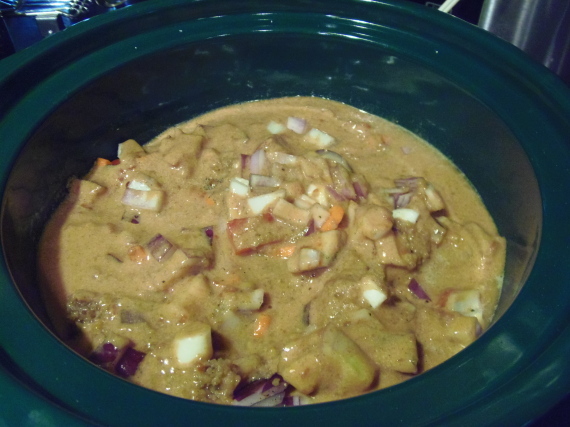 -Add the coconut milk mix to the slow cooker, cover and set the dial to high. -After a few hours (3 or so) , give the mixture a quick stir and cover again. -Continue cooking an additional 2-3 hours until the chicken is cooked through and tender. 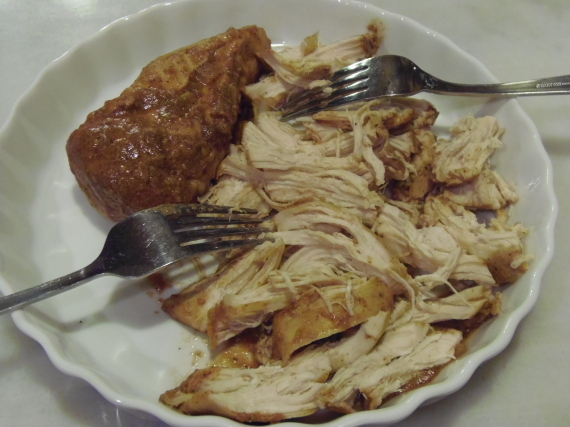 -Remove the chicken breasts from the mixture and shred the meat from all 4 breasts with two forks. 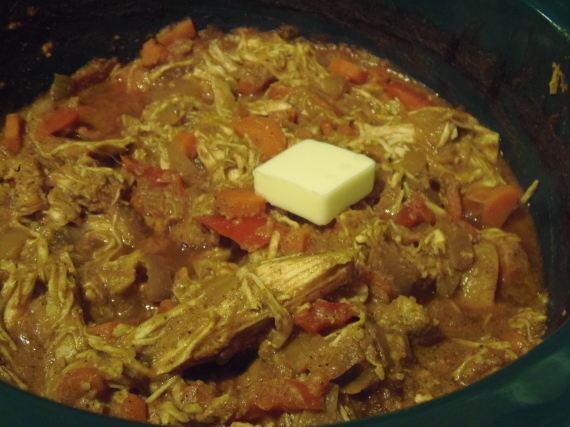 -Return the shredded meat back into the cooker, add the butter and cilantro, and stir to combine. 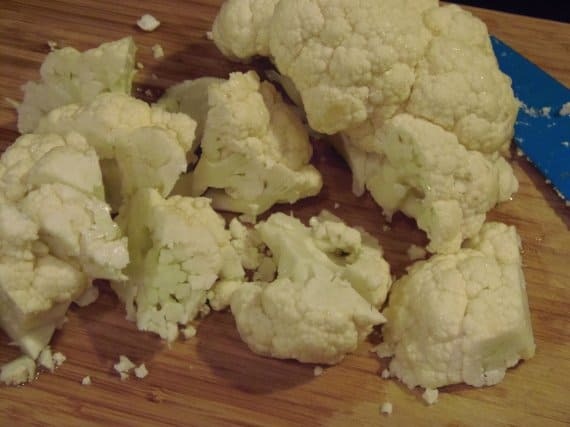 -Reduce the heat to low while you make the cauliflower mash. 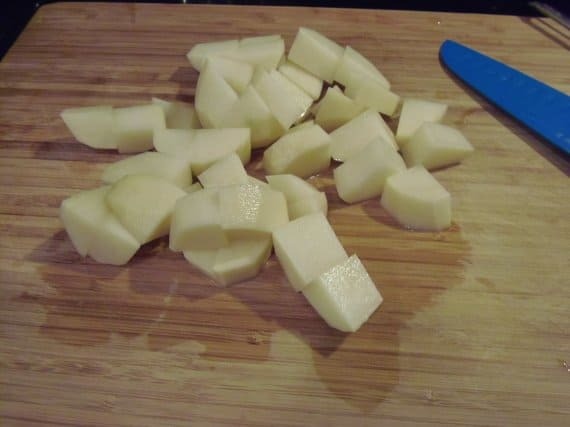 -In a large stock pot, add the potatoes and cauliflower. Add enough water to cover and 1 teaspoon of salt. 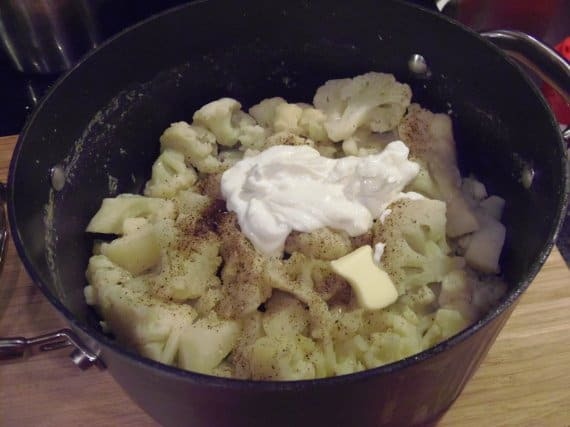 -Cook over medium heat until both the potatoes and cauliflower are fork tender. -Drain, add the Greek yogurt, butter and black pepper and mash as you would normally do to make mashed potatoes. 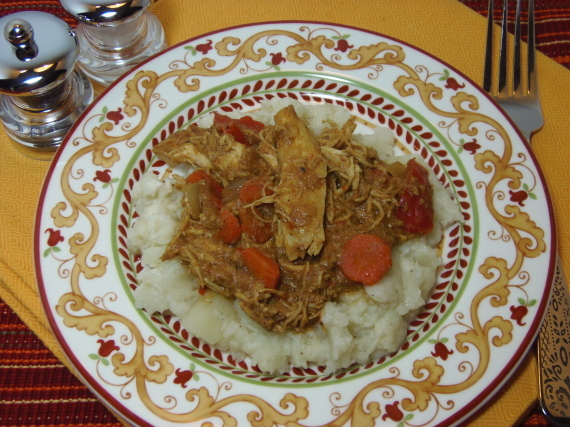 -Serve the Coconut Chicken Curry over the cauliflower mash and enjoy!!! Thanks so much for sharing your recipe with me Bean! We really did love it!!! Everybody Wang Chung Tonight! A Chinese New Year Celebration. 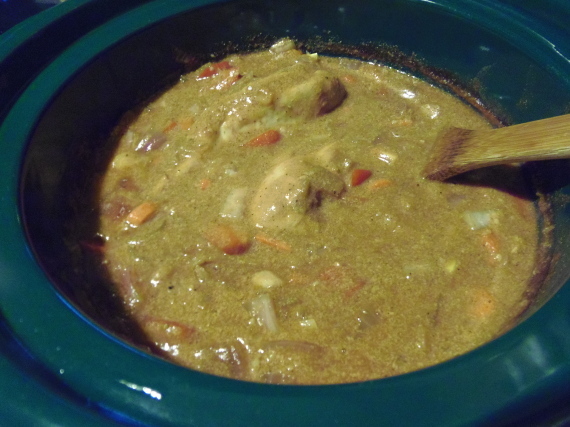 My husband has been talking about curry a lot lately – but I have never had it. Guess I better jump off the diving board, eh? Love, love, love coconut curry. I bet this was yummy. 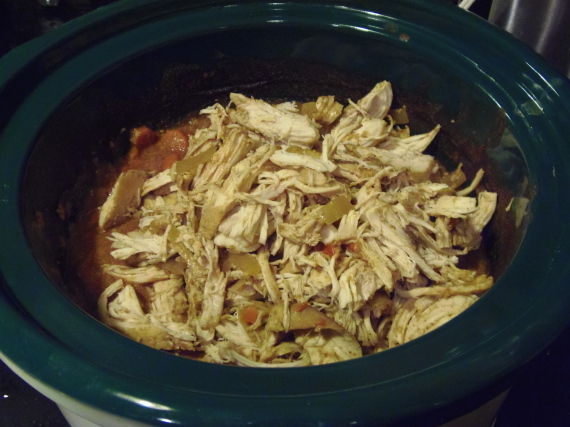 I'm adding more crock pot dishes to my blog so I can't wait to try this. Great SRC pick. 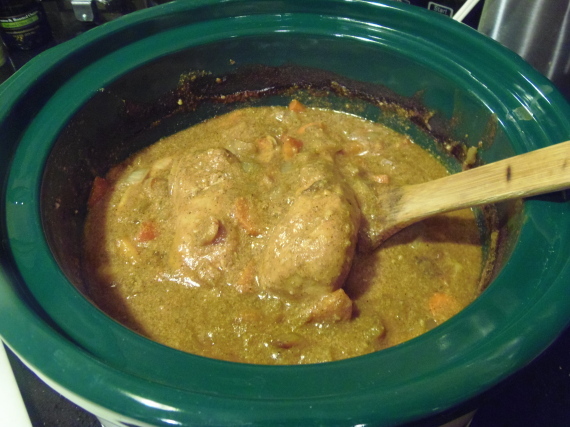 That curry looks great, I never thought to use a slow cooker, I am going to make this, I just love curries but am shy with spices. I have to get over that, my daughter calls me the anti spice. I can't wait to try this. I love how you give such wonderful write-ups about the blogger you were assigned for this SRC installment. You certainly did her dish proud. 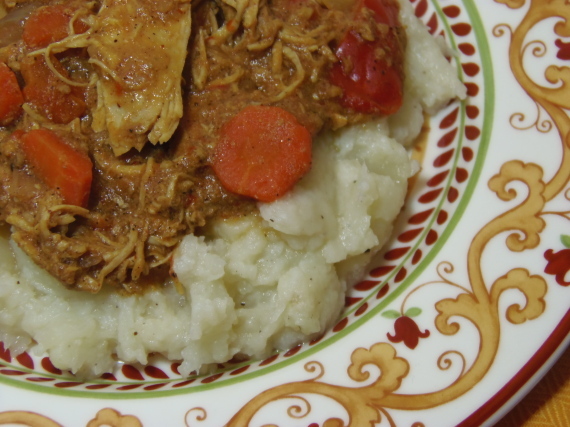 This coconut chicken curry looks great and serving on a bed of mashed cauliflower was a great idea. Oh wow, this looks great! I always want to make curry recipes but am afraid my family won't enjoy them. But this looks too good to pass up, especially on a bed of mashed cauliflower! Wonderful curry! Love that it also has veggies in it too! Great SRC pick!